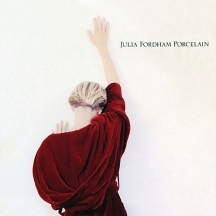 Porcelain, released in 1989, was the multi-platinum follow up to Julia Fordham’s debut, self-titled album. It is the album that broke Julia in the US. It also features a brace of Adult Contemporary radio hits including ‘Manhattan Skyline’ which contributed to exposing Julia to a wider, international audience.